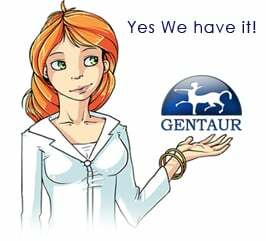 Gentaur antibody-antibodies.com The Marketplace for Antibodies : The Lafora disease gene product laforin interacts with HIRIP5, a phylogenetically conserved protein containing a NifU-like domain. The Lafora disease gene product laforin interacts with HIRIP5, a phylogenetically conserved protein containing a NifU-like domain. Lafora disease is an autosomal recessive type of progressive myoclonus epilepsy caused by mutations in the EPM2A gene. The EPM2A gene-encoded protein laforin is a dual-specificity phosphatase that associates with polyribosomes. Because the cellular functions of laforin are largely unknown, we used the yeast-two hybrid system to screen for protein(s) that interact with laforin. We found that laforin interacts with a phylogenetically conserved protein HIRIP5 that harbors a NifU-like domain. Both in vitro and in vivo assay have shown that the interaction is specific and that laforin probably uses its N-terminal CBD-4 domain to interact with the C-terminal NifU-like domain of the HIRIP5 protein. HIRIP5 encodes a cytosolic protein and is expressed ubiquitously, perhaps reflecting a house-keeping function. The presence of a NifU-like domain in the HIRIP5 protein raises an interesting possibility that it may be involved in iron homeostasis. Although the significance of the interaction between HIRIP5 and laforin proteins is not yet fully known, because laforin dephosphorylated HIRIP5 in vitro, HIRIP5 promises to be an interesting laforin-binding partner and would contribute to the understanding of the molecular pathology of Lafora disease.